Investors are interested in silver for many reasons, whether it’s a hedge against inflation, flight to safety, or even speculative purposes. Now, there are several ways someone can gain exposure to the silver market. However, if you want something that is hassle free, then buying silver stocks is the way to go. Investing in silver companies is easier and more convenient than buying physical silver or trading silver futures. Physical silver can have high transaction and storage costs. On the other hand, silver futures contracts require active management. Huge volatility spikes could lead to receiving a margin call. In order to trade futures in silver, your account must maintain a certain margin level requirement. In 2013, there was a day when silver futures declined approximately 11%, a move large enough to blow out most poorly funded and/or highly leveraged accounts. Before investing in a silver company you’ll want to know its inner workings, the pros and cons of corporate management, its financial statements and cash flow, operating procedures and efficiency level. You may even want to know if the company offers a dividend. Pan American Silver Corp (NASD:PAAS) is a silver company that engages in the exploration, acquisition, development, and operation of silver properties. Many of its silver mining operations are located in Central and South America, and it has non-producing silver resources in the United States. Pan American is recognized as the world’s second largest primary silver producer. It’s one of the largest publicly traded firms in the space based on market cap. This by no means indicates how expensive the stock is, only a measure of its size. In 2016, the firm produced 25.4M ounces of silver and 183,900 ounces of gold. PAAS has an annual dividend of $0.10 per share. Dividends are not guaranteed, and are subject to change. However, PAAS is held by a large amount of financial institutions, giving investors confidence that a dividend cut or surprise management shake-up is unlikely. If investors were to buy this silver stock, they can be assured that any decisions of how to manage the position can be executed swiftly and without much slippage. Simple- this stock trades well over 1 million shares per day, giving it enough liquidity to trade freely. This is very important when selecting investments. PAAS has a number of analysts giving opinions on its business and stock price, which can serve as a roadmap if one were to buy this silver stock. Tahoe Resources Inc. (NYSE: TAHO) explores, develops, and operates mines in the Americas. It primarily produces copper, gold, silver, lead/zinc, and natural gas and petroleum, as well as precious metals assets. In 2016, Tahoe achieved record silver production by producing 21.3M ounces at all-in sustaining costs of $8.06 per ounce. This is to say that TAHO has exposure to some other precious metals and natural resources beyond silver. Investors can buy this silver stock to diversify away some of the day to day fluctuations in the price of silver. Another advantage of investing in a company with this type of operation is asset diversification. If this company finds one operation to be more lucrative than another, it may decide to sell assets from one operation to fund another, which can provide a boost to the stock price. TAHO provides a great annual dividend, giving investors $0.24 per share. The company has many analysts given opinions on when to buy, sell, or hold the stock, providing constant guidance that you can use along with your own research. The company provides a low cost, liquid option for investors to gain exposure to the silver market, in addition to other precious metals. Endeavour Silver Corp (NYSE: EXK) is a mid-tier precious metals mining company, which engages in evaluation, acquisition, exploration, development, extraction, processing, refining, and reclamation of silver mining properties in Mexico and Chile. The firm operates three underground silver mines in Mexico, which in 2016 collectively produced 5.4M ounces of silver. Over one quarter of the firm’s stock float is owned by institutions, a confidence booster for investors looking to get involved in the name. Endeavour boasts healthy gross margins and a quick ratio over 3, which tells investors that in the case of an immediate need for cash, the company should not be faced with a solvency issue. Despite silver mining being a historically stable business, one can never be certain of unforeseen future events. EXK has several analysts offering opinions on the stock; it’s always nice to have an industry experts sharing their opinion on the current condition of the company and where it stands among its competitors. trades over 1 million shares daily, making for efficient execution and low cost transactions. Silvercorp Metals Inc (SVM: NYSE) engages in the acquisition, exploration, development, and mining of precious and base metal mineral properties in China. From April 2006 to March 2017, the company produced over 52.6M ounces of silver. SVM has shown consistent positive sales growth quarter over quarter, telling investors that market demand exists for their product. The company is largely owned by institutions. This simple metric can provide value simply because most believe that if institutions own it, they must believe in the product and the management, and after all, they are the industry experts. The firm has no receivables and has zero debt. The firm has a market cap exceeding $450M and offers investors an annual dividend of $0.02 per share. The best silver stocks to buy are liquid, stable, and some even return capital to investors via dividend. Silver mining stocks are an excellent way to gain exposure to the silver market, while simultaneously investing in management. The names listed have analyst opinions, which are valuable when trying to gauge a company’s management structure. 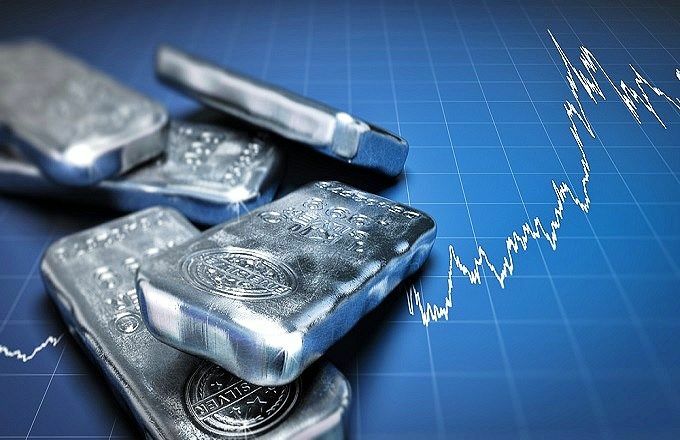 In conclusion, these companies will track the price of silver, giving you indirect exposure to the precious metal, while providing the potential to even outperform silver bullion.